I recently inherited a lovely, temperamental, small, antique, French mantle clock that runs . . . occasionally. I don’t want it. What to do? The real problem with old clocks is getting them to work and keeping them going. Why? Because there are so few people with the knowledge and skill who can repair them–and even if you are fortunate enough to find one of these rare individuals, the repair will likely exceed the value of the clock. Clocks come in so many sizes, styles, and materials that generalizations are impossible. 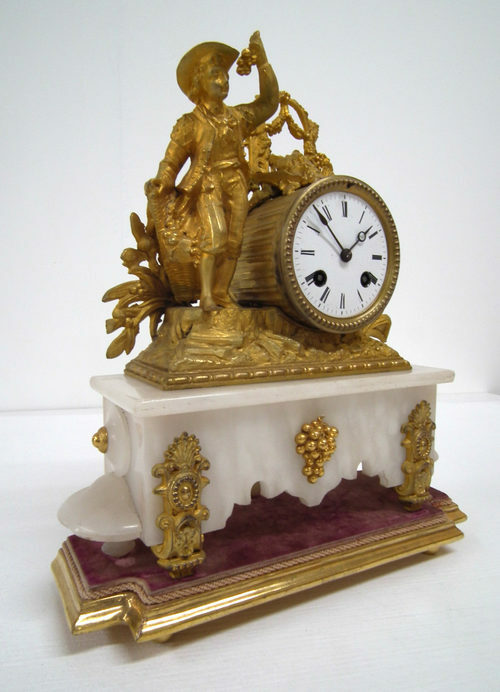 If your clock is judged to have value, it is better to sell it through a regional auction house that at an antiques shop, because of the greater number of potential buyers. Antiques dealers or repair men would be the best people to sort the resalable and fixable from the junk. As for “grandfather” clocks (properly called tall-case clocks), an antique one has value; a modern one has very little and may, in fact, be difficult to get rid of. Often mistaken for silver, platinum is worth far more than silver and is usually worth more than gold. Recently, gold prices have surpassed platinum, but that is not typical, and they are back–today at least–to their normal relative position now. 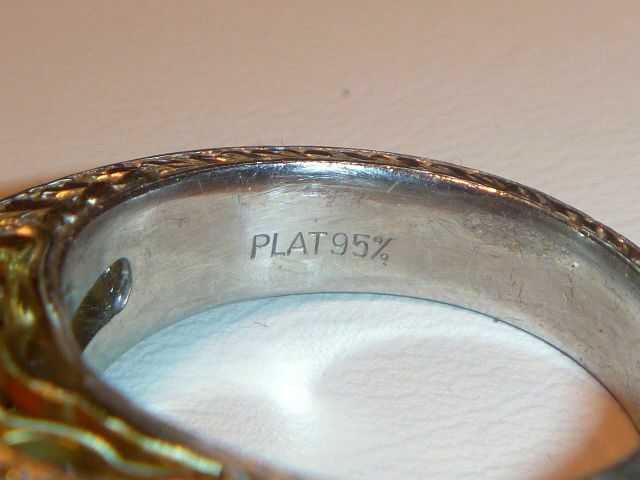 (Gold is around 1250.00 and platinum is around 1350.00) Platinum jewelry will have PLAT or PT marked on it. There might also be a number with those letters to indicate how many parts per thousand are platinum, like 850 PT or 950 PLAT. Don’t be cheated: Learn how to sell the genuine gold jewelry you’ve inherited. Selling gold is an area where you are likely to find a lot of cheats, so go into it with your eyes wide open. Before you take gold jewelry anywhere, bone up on the current price for gold—check on the Internet or in the newspaper. This shows the buyer that you aren’t totally clueless, and you’ll be less likely to get cheated. Gold is priced per troy ounce, a measurement slightly different from regular ounces. Make your own ballpark estimate before trying to sell. Here’s how. –Examine the karat mark of your jewelry items and divide into piles. Most will be 10k, 12k, 14k, or 18k. If it isn’t marked, it is probably gold plated or gold wash and worth next to nothing. –Weigh each group separately on a postal scale to determine number of ounces. –Deduct a percent for the part that isn’t gold. 10 karat is 41% gold, so you’d deduct 59%. 12 karat is 50% gold. 14 karat is 58% gold. 18 karat is 75% gold, and the highest you are likely to see in America. 22 karat is 91% gold. 24 karat is pure gold. So 20 troy ounces of 12 karat gold equals 10 troy ounces of pure gold. Why don’t you see much 22 or 24 k gold in America? Because it’s too soft to make good jewelry. A neckchain of 24 k gold would pull apart with minimal effort. –Multiply by the current troy ounce price. That is what your gold is worth at retail, but of course you will not get that much for it. You are selling at wholesale–the buyer will sell at retail. Many dealers will offer you half the retail value. Shop around to get the best price. Reputable gold buyers should pay 80% or maybe 90% of the retail value. Knowing approximately what that is will protect you. True story: Fatima took her unwanted gold jewelry to a gold buyer who dumped it all on the scales, weighed it, and quoted a price based on 14k. “But isn’t this worth more?” she asked, indicating the mark on one piece that said 22k, an alloy common in India where she is from. The buyer, who of course “hadn’t noticed,” recalculated and offered her a higher figure. (She should have walked out the minute she realized he was dishonest.) Moral? 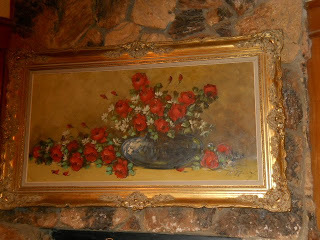 Examine each piece and estimate it’s worth before you see a buyer. Yes, there are pawnshops, online buyers, mail order schemes, and fly-by-nights who breeze into town and set up shop in a hotel room, but your best bet by far is a reputable, local jewelry store or coin dealer that buys gold and silver and sticks around for his reputation to matter. Let the buyer know up front that you are going to get two or three offers before selling and hold to that plan. Gold-looking jewelry made in the twentieth century is sometimes marked GF for gold-filled, a deceptive term that means a very thin layer of gold over base metal. Watch out for 14k GF, which sounds better but is still just a thin, thin, thin coat of gold. It is worthless as gold, but it may have value as costume jewelry or vintage jewelry.